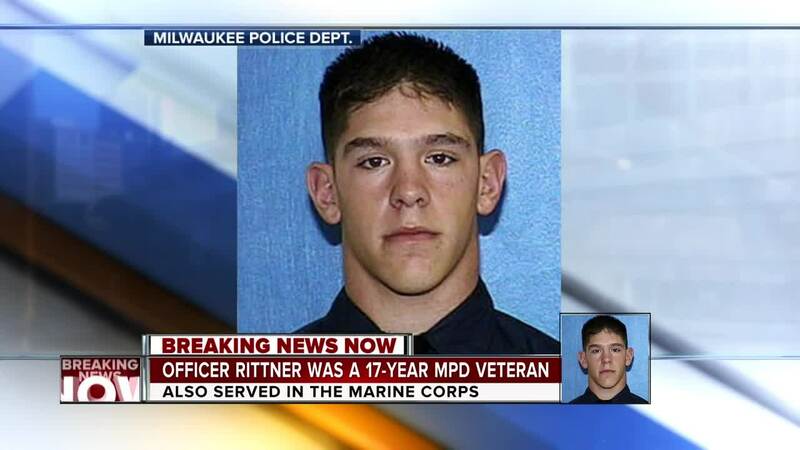 The Milwaukee Police officer shot and killed while issuing a search warrant Wednesday was identified as 35-year-old Matthew Rittner. MPD Chief Alfonso Morales announced Wednesday night that Rittner was part of a tactical enforcement unit serving that warrant near 12th and Dakota Wednesday morning. 26-year-old Jordan Fricke allegedly fired several gunshots while officers attempted to breach the door. Rittner was shot and taken to Froedtert Hospital, where he later died. Morales said Rittner started as a police aide in 2001 and had 17 years of service with the department. Rittner was also a member of the United States Marine Corps with three tours of duty in the Middle East. Morales said the target of the warrant was wanted on illegal firearm and drug charges. Two people were arrested after the shooting. Rittner was one week away from celebrating his 36-year-old birthday. He was recognized twice for bravery. In 2016, he received the highest medal in policing, a Medal of Valor, for a tactical situation in which two hostages were saved. He also got a Meritorious Service Honor the same year. He graduated in 2001 from Greenfield High School graduate. In September, 2017, he married his wife Caroline inside Miller Park.